Our church buildings here in this benefice are all beautiful, and are much loved by our local community. Shiplake and Harpsden Churches are both Grade II listed which shows their importance to the local history. I am not too sure why Dunsden is not listed as it is a magnificent example of a simple Victorian Church with lots of lovely details. 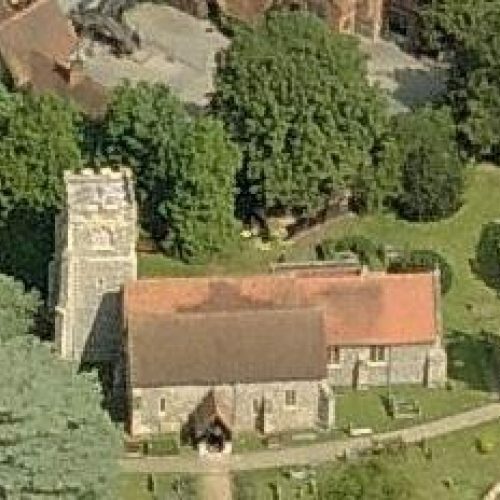 Both Shiplake and Harpsden churches are open as a village asset every day, with Dunsden being open at weekends during the Summer months, for anybody to come along and have a moment of quiet. However, at present it is only the regular congregation who bear the maintenance costs for these lovely sites. Contrary to popular belief, we, as a local church, receive no income from the government – the only help we can get is that we may reclaim the VAT on some repairs to the fabric of the building. Each of our churches is inspected once every five years – this is called a Quinquennial Inspection, and is carried out by an architect. This report gives the Church a list of what maintenance tasks need to be undertaken, and then kindly prioritises them over a five-year period. This list can sometimes be very daunting for our congregations as upkeep on these lovely old buildings is something like the painting of the Forth Rail Bridge. In line with many churches around the country our regular congregations give money to the church on a weekly, monthly, quarterly or annual basis, and we have just adopted the ‘Parish Giving Scheme’ across all three churches to help with this task, as the ‘Parish Giving Scheme’ claims back the Gift Aid on our behalf (currently 25p for every pound). This generosity pays for the ministry and mission of the church, but leaves very little to put towards the necessary buildings maintenance programme. From my own point of view, I find it slightly and sadly ironic that we all now pay an insurance company to protect us from the historic ‘Chancel Tax’ when moving house, when a similar amount given regularly to the local church would contribute directly to the upkeep of what are certainly the oldest buildings in our local communities. I hope, and pray, that you will feel able to support the church financially so that we can all ensure that these magnificent buildings are maintained in good order for future generations to enjoy and cherish.